We can accommodate early starts and late finishes. Flexibility is our cornerstone. We can arrange art and craft workshops as part of your team building. includes a data projector and audio equipment. It seats over 70 theatre style or can be set up in various formats for smaller groups. 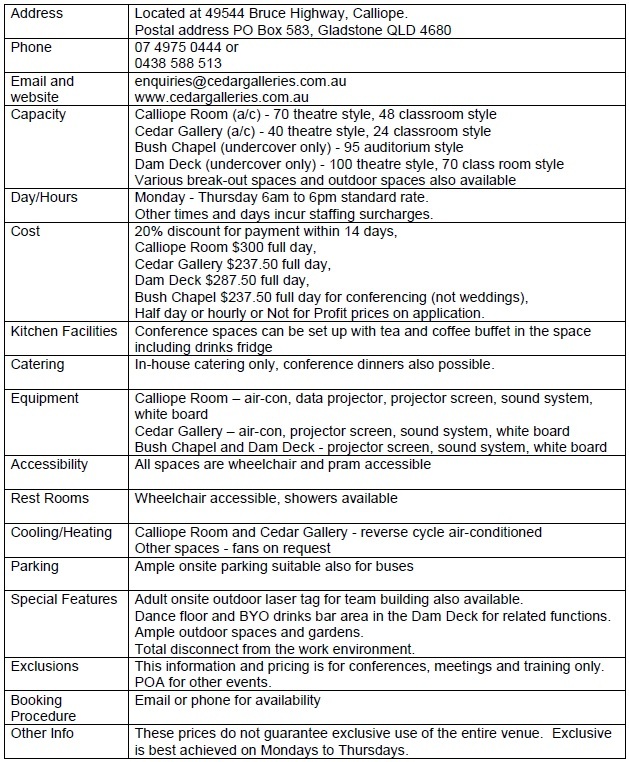 We have a variety of other spaces available including the Cedar Gallery, the Dam Deck and the Bush Chapel which is an ideal auditorium space. A venue for training organisations and instructors.